do so by works of the law, or by hearing with faith? The answer of course is, “By faith.” One enters into the graces of God only by the faith that God gifts. Every benefit from God is supplied by God and is not earned. In the language of scripture, that is exactly what Jesus does. Jesus looks at His church the bride and says, “I love you, and I will make you beautiful.” Because of that, no one improves on what God has done by their own efforts. You can’t go out and try to earn His love. All that the child of God has, He has graciously given. It is not payment for a debt incurred by work. As Galatians argues, these truths squash self-righteousness, and should instill patience within and among those who profess faith in Christ. It should also give hope for any who struggle, as they know that it is God who supplies, and God who works. Garner Citizens for Haiti began with a nearly empty Garner Historic Auditorium and the sound of a whipping rain storm in 34 degree weather outside. For all the effort, planning, practicing, and coordination, it seemed that the event was going to be all hype and no substance. However, by the time the welcomes were over and the second song was sung, the auditorium filled out nicely. For a town that is undergoing its own recovery (ConAgra) while fending off further losses (www.savegarnerlibrary.com), the citizens of Garner showed that they can significantly love and serve others who are in need. After being greeted by Mayor Ronnie Williams, Councilman Ken Marshburn, and Police Chief Brandon Zuidema, the Sovereign King music team led the crowd of over 100 in singing “Everlasting God” and “I Stand Amazed” – both songs calling people to the great hope in an eternal and gracious God. Then Garner was challenged to understand the need in Haiti. Stan Wiebe (www.heartsandhandsforhaiti.org) gave a heart breaking account of his on the ground experience when the earthquake occurred. Rev. 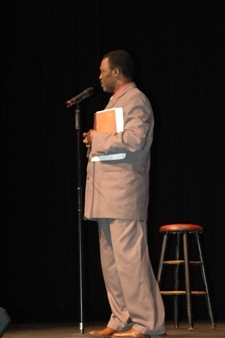 Erilus St. Sauveur (http://www.solidrockfirsthaitian.org/) challenged the crowd to consider traveling to Haiti to offer 1st person care and mercy. Rev. Chuck Killian (www.garnerumc.org) passionately prayed for real, active, and swift relief for the people of Haiti. Following two more songs by the SK Music Team (“Still” and “How Great is Our God”), I was privileged to lead the crowd in 2 events: praying and giving. We had a moment of silent reflection and the lighting of candles to signify the Light of the World, Jesus Christ, entrusting His children with the task of being lights in the world. The moments of silent reflection and prayer were powerful. Following this time, we took up an offering to the American Red Cross while watching a powerful video from the folks at www.churcheshelpingchurches.com. In total, over $1,600 was raised for Haiti relief, but I think even more was accomplished last week. I think the Town of Garner took another step towards realizing just how much impact they can have in their community and the world. I and Sovereign King Church were glad to be along for the ride. Look for an updated page at www.garnercitizensforhaiti.com in the next few days so Garner can continue to contribute to the needs of the people of Haiti. Do We Really Need Another Haiti Event? I know what you are thinking, “Do we really need to read another post about the city’s Haiti event?” Of course we do. Here is why. 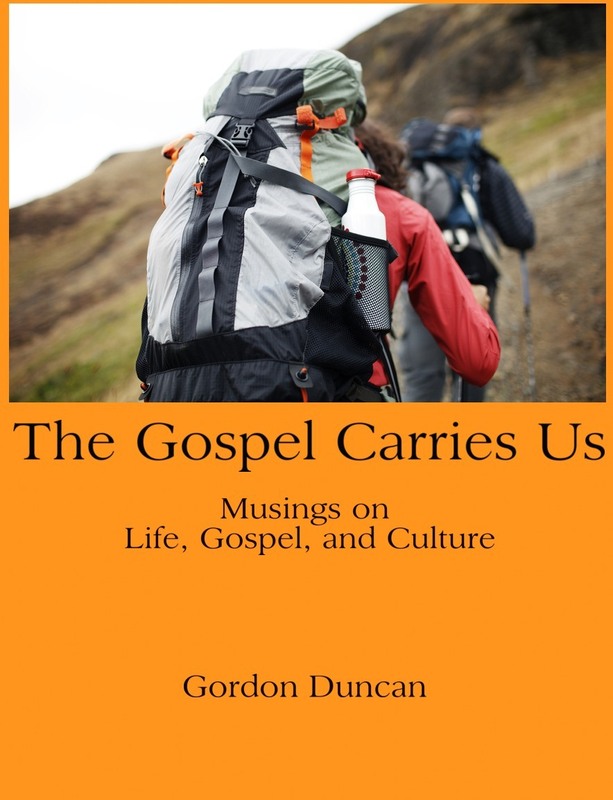 Garner has the rare opportunity to gather together for the purpose of loving and caring for an incredibly hurt people. There is a growing sense of community in Garner civically (ConAgra, Library), and the Garner Citizens for Haiti event allows us to put that energy together, not in protest, but in solidarity for others who are in need. This event is the rare chance to bring together multiple churches, civic organizations, and other social tribes in a unifying effort. To prep us for the event, I’ve included an incredible video from the folks at www.churcheshelpingchurches.com. It does a great job of setting the scene for both the need and the meeting of that need in Haiti. 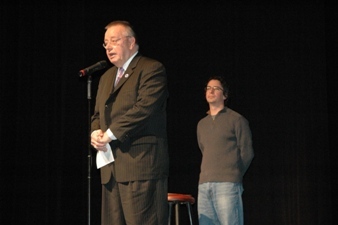 For more information about Garner’s event, check out www.garnercitizensforhaiti.com. 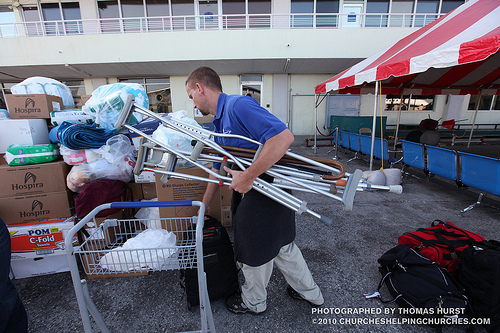 As a pastor, I take great joy seeing people respond with mercy when others are in need. When people care enough to extend grace, there is almost no stopping what can be accomplished. I’ve seen our small congregation at Sovereign King feed tons of people and meet the needs of everyone from the local women’s shelter to individuals we have met through the police. Other churches in the area are also doing great things like Redeemer Church’s massive Christmas present effort and True North Church’s work at With Love from Jesus. How often do you think about the work still needed in the wake Katrina? When was the last time you sent money for relief efforts for the floods in Iowa? It is just human nature to eventually forget of these great needs once space and time creep in to our consciousnesses. I pray that does not happen in light of the needs of the people of Haiti. One way to fight off that amnesia is joining the Town of Garner for “Garner Citizens For Haiti” on February 5th. 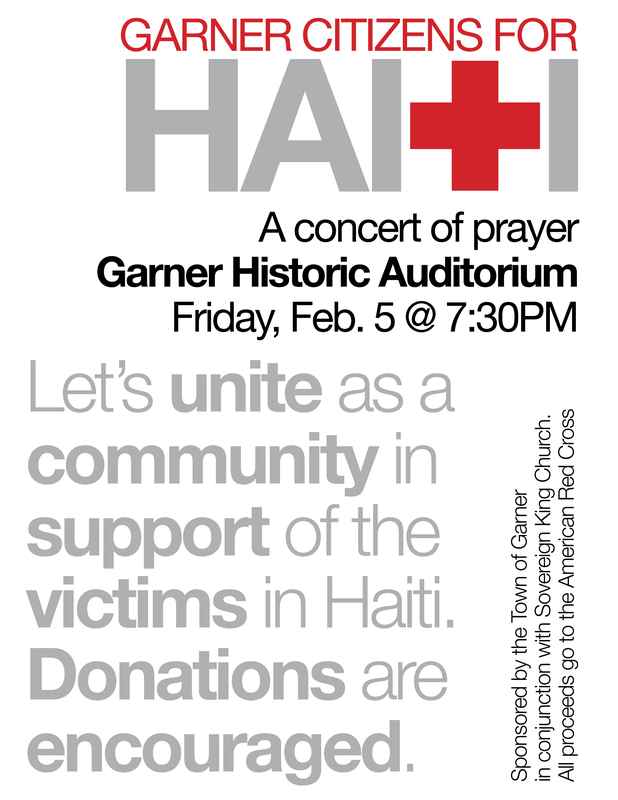 Held at the Garner Historic Auditorium at 7:30pm, the Town hopes to gather, sing, pray, listen, and give to the ongoing work in Haiti. As we creep closer to a month removed from the earthquakes, our minds may already be focusing on other things. Let’s keep our prayers and efforts focused on loving and caring for the people of Haiti. If you want more information about the event, go to www.garnercitizensforhaiti.com. My hobbies have pretty much been reduced to two at this point: running and writing. Both feed each other, and both provide tremendous stress release. Since re-launching this site, I’ve enjoyed taking daily process time to write as well as re-reading older posts from years gone by. I’ve been fortunate to have a few things published online, and I enjoy my semi-regular contributions to the Garner Citizen. Recently, I’ve wanted to interact with more folks through my writing and was wondering how to make that happen. Then, I stumbled upon the Raleigh Examiner, a nationally syndicated online newspaper that has regional hubs. They had an opening for an Evangelical Contributor, and once I submitted a few sample articles, they accepted. Going forward, my posts will appear on multiple platforms: posts will always show up here, but they might also show up at the Garner Citizen, or at the Raleigh Examiner. I’m pretty excited to see where all of this goes (and thankful that I can re-use old content as well). Hopefully, I won’t bore you guys with the same old things over and over again, but it will be enjoyable to see what the feedback will be. I’ve included the beginning of my first post, “Living a Dirty Life,” with a link to the remainder of the article below. Enjoy. I recently proclaimed to the folks at Sovereign King Church that if their life is too put together to help those whose lives are too messy then they’ve missed the lesson of Romans 3. That chapter speaks to how no one has any right to brag before God as no one is righteous; no not one. Even after a child of God begins to grow in obedience as promised in scripture, we are reminded in Romans 3 with this: “Then what becomes of our boasting? It is excluded. By what kind of law? By a law of works? No, but by the law of faith.” Paul’s point is that there is no room for boasting because we don’t gain anything before God by works of the law. All access to God and His work through Christ come by faith. The child of God does grow in doing righteousness, but it is never that righteousness by which we recommend ourselves to God; it is always Jesus’.